All of us get lost from time to time. There’s a big problem with getting lost along your career path, though: there’s no satellite navigation to automatically guide you back to the correct road. It’s tough to find your way when the map you’ve been using for years doesn’t give you the answers. Here at Career Voyage, we know the feeling. We’ve helped hundreds of other people feeling just as lost and overwhelmed as you. There’s a trick we’ve learned throughout our years of experience. Turn the map upside down. You’re holding it the wrong way. You think finding the right road is all about what employers want from you. We’re here to tell you something radically different. 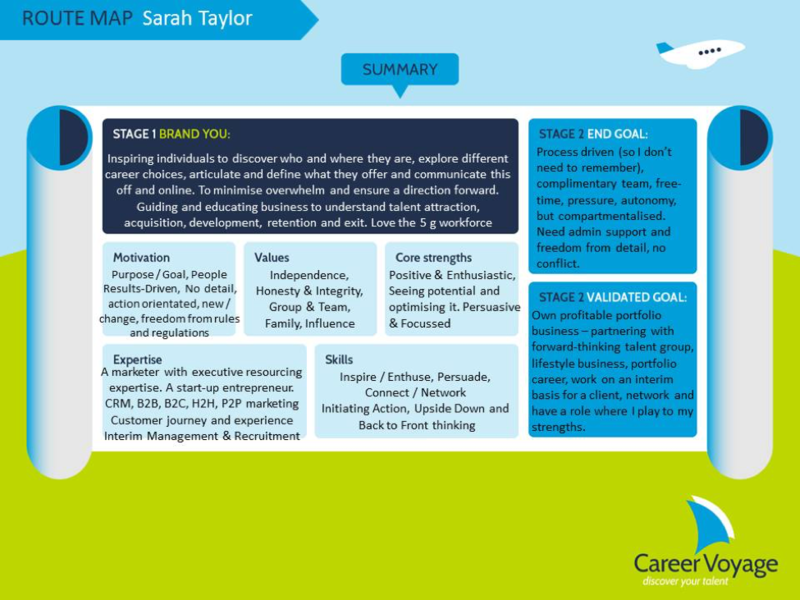 If you’re contemplating your next career move, thinking of a radical change in direction, getting back into the workplace after pregnancy or family, or thinking of re-inventing yourself, our three-step plan will help you find your way to the career destination you’ll love. STEP 1: Discover who and where you are. What are your values and strengths? What are your specialist skills and particular expertise? How much do you need to earn, and do you have a financial safety blanket? It’s time to create Brand You. STEP 2: You decide where you are going. Blue Sky Options – Explore your wildest dreams, from being a rocket scientist to a brain surgeon. Narrow Options – Take those blue sky options, and find ways of making them real and tangible. You might not have the time or resources to be able to train to be a brain surgeon, but could you re-train to work in research or forensics, for example? Create your route map to a new future – Now, you have a clear idea of your dreams, ambitions, and how realistic they are, and can look at the practical steps which would make those dreams come true. STEP 3: Use your route map to re-write your story. The power is now in your hands. You know your skills, strengths, what motivates you, what sort of environment in which you’d like to work, who your ideal boss and colleagues would be, and what you can offer. You need to have a real understanding of your unique selling point – the thing which makes you different. Fine-tune your marketing of Brand You to match – change your profiles on LinkedIn, Facebook, and Twitter, the focus of your blogs and videos, re-write your CV. Search out companies and clients with whom you would like to work, decide what their problems are and how deep the pain is, then look for the ways you and your skills can solve their problems. Contact those companies and clients and tell them how you can help them. Use your network of contacts to help you. Do this in a focused and intelligent way to help you land the job, or assignment, of your dreams. You’ll have found your match. We’ll help you reach your destination.